If you are looking to buy a car, truck or an SUV but you don’t want to lose 50 percent of the value of the vehicle in the first 3 years, then you will definitely need to see this list. I made a research and came up with a list of 9 vehicles that depreciate the least. 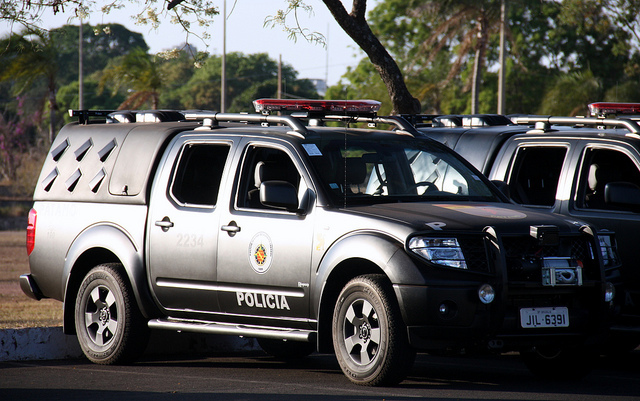 Before we get into the list, let me explain what is a vehicle depreciation. Is a car a good investment? Now, a lot of us know that cars are not the best investment in the world because they do depreciate in value. If you’re not too familiar with depreciation, it’s when a value of some product or an item goes down in value over time. This means that if you bought something for a thousand dollars and then a year later it’s only worth $800, that $200 gap is depreciation. So, as I mentioned most people know that cars go down in value with rare exceptions of a few cars may be going up or keeping their value at a steady rate. But those are far and few in between. So, I am gonna talk about the majority of vehicles. Now, of course, cars get you from point A to B, gets you to where you need to be, gets you to work. Of course, they’re valuable in a certain way, but that’s not monetary in the sense of direct impact. So, the first thing to look at is how much does a new car actually depreciate in value. Now, the thing with this number is that it’s not a direct number, it’s an average of course just like most things because every car is a little bit different depending on the model of the car, depending on the type of the car, depending on how long it’s being used, and a lot of other factors that actually make it a little bit difficult to figure out the exact depreciation of every car. If we look at the average cost of a brand-new car as of right now in 2018, the average ticket comes out to $35,000. Now, with that $35,000 when people are driving it off the car lot, you’re typically gonna be losing around ten to eleven percent of that initial value. It was strapped to around 31 100 dollars or so when it comes to the overall value which is a lot of money in a very very short amount of time if you think about just driving off the car lot and losing 11 percent of your money. Alright, so after the first year of usage on this vehicle, if you’re using it on the average twelve thousand miles, let’s say you don’t have any dents or any other problems with the vehicle, you’re gonna be losing about twenty-five percent of the value which drops you down to $26,200 or so. Alright, so if we jump over to year three and let’s say everything is so running on averages and you’re running it smoothly and there are no big problems with the car, you’re still gonna be losing about forty-six percent of its original value, dropping you all the way down to $18,800 or so. By year five if everything is staying steady, you’re gonna be losing around 63 to 64 percent of the original value of the vehicle, dropping you all the way down to $12,800 or so from the initial value. Now, that’s a lot of money, of course, to be losing in value over the course of the five years. So, that’s why it’s actually very interesting to look at the depreciation of a brand new car when you buy it right off the lot, versus when you buy a used car, at year three or four and how much it loses in value over that course of time. Now, you bought a car and it has been 3 or 4 years and you would like to sell your car, but you are not sure how much it is worth. The value your car is based off the mileage, based off of any damage, and the condition that it’s in. Now, the math that I did before is not exact, but it really does help you kind of put to place on how much your car is worth based off of all those different factors, but of course, the market will also decide. So, if you’re trying to sell it in a private seller market, you’re doesn’t gonna get a lot more for it than if you’re trying to sell it to a dealership, because they’re always, of course, gonna undercut you so they can make a profit when turning around and selling that vehicle. So, keep that in mind. If possible, always sell to a private seller and use the math done above in the article for price orientation. Let’s talk a little bit about some of the things that actually cause some cars do depreciate faster. When we talked about those numbers earlier, those are actually the averages. So, that means some cars are depreciating faster than at those rates that we talked about. So, one of the biggest reasons why a car can lose a lot more value is if they are taking up a lot of gas, and they have low mpg which of course stands for miles per gallon. The reason that’s important is because a lot of times we go through cycles where people don’t want to be spending a lot of money on gas because maybe gases are gonna get more expensive. So, those cars actually start losing a lot more value. Of course, that can happen with trucks, or SUVs, or bigger vehicles that will just eat away at the gas money because maybe gas is starting to check up so much the point where people really start feeling it on their wallet. A lot of times cars will also lose a lot of value if there are luxury cars, in the sense that maybe they’re trying different styles and different looks that are maybe unique at that time but can also definitely go out of trend over the next couple of years. Wand we’ve seen this happen with many different cars where they’ll come out they’re new and fresh and people love them but over time they kind of become very stagnant to the point where people really don’t want them because maybe they don’t look very popular anymore. Another reason a car can go down in value is if they are associated with a brand that isn’t really good for longevity. What I mean by this is there are some brands that are known for quality when it comes to their vehicles working for long periods of time, such as Toyota. So, Toyota actually has it known that their vehicles will last a very long time on the road and that gives people confidence when it comes to buying a car. So, that way they can get the most out of those vehicles. So, definitely keep in mind when you’re looking at a car making sure that you do the research and they are history when it comes to their old previous vehicles and how much they last on the road versus other ones, because there are some brands out there that maybe have awesome looking vehicles, but maybe the reliability on those vehicles are not anywhere near the levels of some of the other companies. 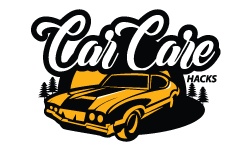 One really important question when it comes to this whole topic is should you actually care about the depreciation of a car and this can be a very interesting topic on its own. But one of the reasons why you should potentially care of course is because it’s associated with your net worth. Now, if you have a loan on the vehicle, that’s gonna really determine a lot of different things when it comes to the value of your car, because if you’re wanting to sell it but you are currently underwater on that vehicle, it makes it very difficult because maybe the value is worth less than what you actually owe on the vehicle. Now, of course, the other important thing to look at when it comes to if you should care about the depreciation or not is of course if you’re going to be keeping the vehicle for a very long time. So, if you’re buying a brand new car and you for sure are going to be keeping it for 10 plus years or so that is going to not really have a meaning for you when it comes to depreciation because you’re not planning on selling it. But, let’s say you’re buying a new car or even a car two-three years down the road and you plan on selling it within a year or two because you like maybe upgrading to new your cars every so often. That’s really gonna have an impact on you because that is going to have significant differences when it comes to your purchasing price versus your selling price just a couple years down the road. The first item on this list is actually buying a used car that’s three to four years old so that way the original owners can be the ones that eat away the depreciation versus you taking that loss. Next thing is holding on to your car for a long period of time because if you’re gonna be holding on to the car for 10 years, you do not have to worry about the depreciation because your intent is not really necessary to be selling it. If you’re gonna be holding on for ten years, you’re not gonna have to worry about all that depreciation getting lost because as we mentioned earlier that depreciation level kind of plateaus after a certain period of time, and you’re not gonna be losing so much every single year. The most important one is actually gonna be maintaining the car. Now, of course, this means taking it to go get the proper oil trains that need, the proper tire replacements that it needs, but also to get it checked after a certain a big milestone when it comes to mileage, because that’s really gonna help keep the car and a really good high-quality condition. Also to make sure that the interior of the vehicle is kept up as well to help keep the value as high as possible. For the next way to help limit the depreciation is buying smart. This is buying a car that has a very high reliability as we mentioned earlier. Buying a car that’s may be very popular long-term and then also maybe even colors that are very popular. So, if you’re buying a color that’s maybe not the most ideal for a vehicle you might not have as many buyers that want to purchase that vehicle, so the value is gonna drop of course because then you’re gonna be able to sell it at that higher price. So, keep those things in mind. The last way to help limit is going to be actually lowering the mileage. Now, of course, we have to go to work, we want to do things, to be able to enjoy our lives, but, if we are smart with the way we approach the different paths that we can take, when it comes to getting to our destinations and the methods of utilizing our vehicles at the best possible rate and help lower the number of miles you’re actually putting on the car which then helps keep the value higher. As we all know, the more miles that you have in the car, the lower the value is going to be. Honda Pilot gives capable performance overall. When it comes to transmissions, you can have six-speed and nine-speed automatic. Has a comfortable ride. It is a great vehicle to have if you have a larger family. It offers a lot of safety features and has a 5-star rating from The National Highway Traffic Safety Administration. 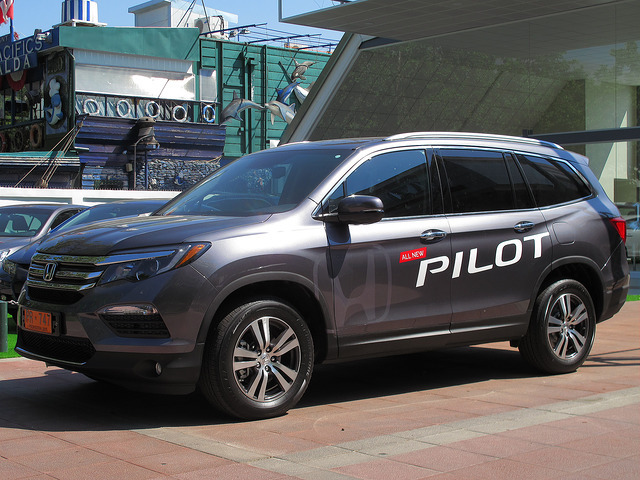 So if you are looking for a vehicle that offers space, comfortable ride, good gas mileage, you should definitely consider the Pilot. But, it has a problem with holding its value over the years. In fact, I would think twice before buying a brand new Honda Pilot because, in the first year, this SUV depreciates for 13,99%, or $4476. So, what I would do is I would definitely buy a used Pilot. If you buy a used Pilot that is 3 years old and has 30,000 miles you can save $13,927. Engine Power: Comes with a 280-horsepower 3.5-liter V6 engine. Transmission: The six-speed automatic transmission is a standard one, but you can upgrade to a nine-speed automatic transmission. No matter which transmission you choose, you will be able to accelerate quickly and quietly. Fuel Economy: Good fuel economy. Consumes 4.8 gallons/100 miles with only 18 MPG in the city and 26 MPG on the highway. Handling: Offers a 4-Wheel-Drive. Has a competent handling but not agile. However, for its size and weight, handles well. Depreciation: At a starting price of $32,000 for a brand new vehicle, in the first year and 10,000 miles, you will lose 13.99% or just $4476. After two years and 20,000 miles, you will lose 28.45% or just $9103. After three years and 30,000 miles, you will lose 43.52% or $13,927. After 10 years and 100,000 miles, you will lose 77.17% or $24,694. A decent midsize SUV with a score of 7.5 out of 10. It is geared for off-roading and not much for highway or city traffic. It is a good SUV if you have a weekend house up on a hill. But if you plan to use it for daily drive, it’s not the best choice. It has a 3 year/36,000 miles warranty and a 5-year/60,000 miles powertrain warranty. Has 5-7 seats. 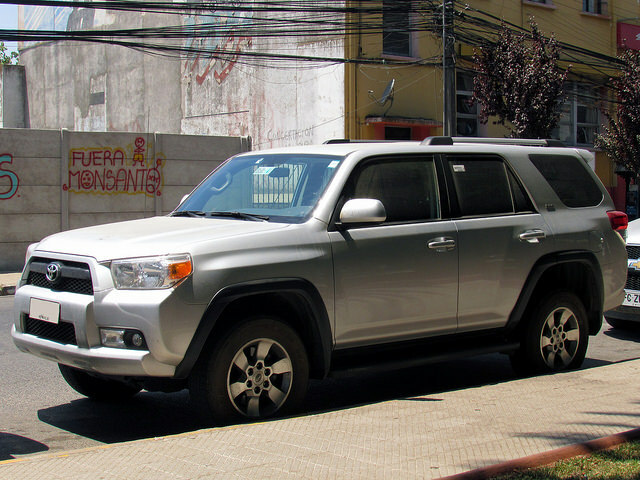 So, if you are looking for a vehicle that you will use more for off-road drives than road drives, Toyota 4Runner is one of the best choices. 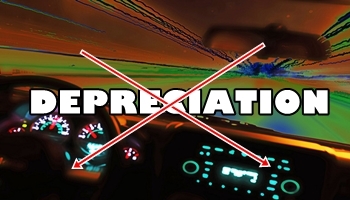 When it comes to depreciation, it’s losing its value pretty fast. If you want to buy a brand new car and customize it to your liking, then go ahead. But, if you buy a used vehicle that is 3 years old and has 30,000 miles you will save $10,935. Engine Power: Comes with a 270 horsepower 4.0-liter V6 engine. It’s not the most powerful engine out there, but it can go up a mountain pass with no issues. Transmission: Comes only with a five-speed automatic transmission. Fuel Economy: Not so good fuel economy. Spends 5.6 gallons/100 miles with a low 17 MPG in the city and 20 MPG on the highway. Handling: Great for off-road, not so bad on-road. Has that ‘truck’ feeling while driving. It is a tall SUV, so it’s not that great when driving in corners. Depreciation: At a starting price of $45,160 for a brand new vehicle, in the first year and 10,000 miles, you will lose 11.94% or just $5392. After two years and 20,000 miles, you will lose 24.21% or just $10,935. After three years and 30,000 miles, you will lose 36.9% or $16,665. After 10 years and 100,000 miles, you will lose 74.49% or $33,641. 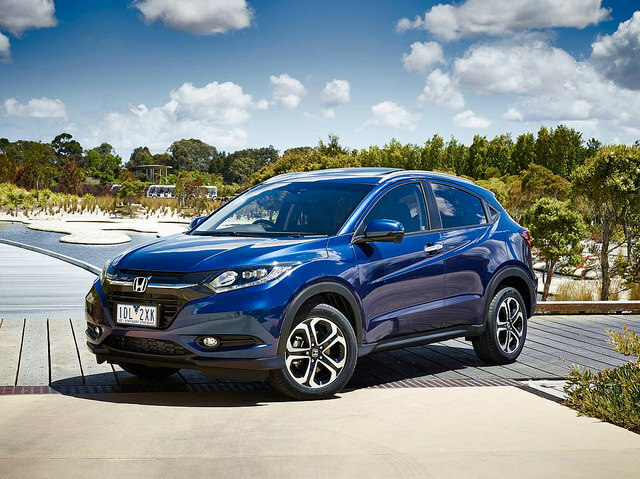 Currently has a rating of 7,8 out of 10 which makes it a decent subcompact SUV. Has a lot of modern features and a great drive. However, when it comes to cabin space, it falls under small crossover with only 5 seats. 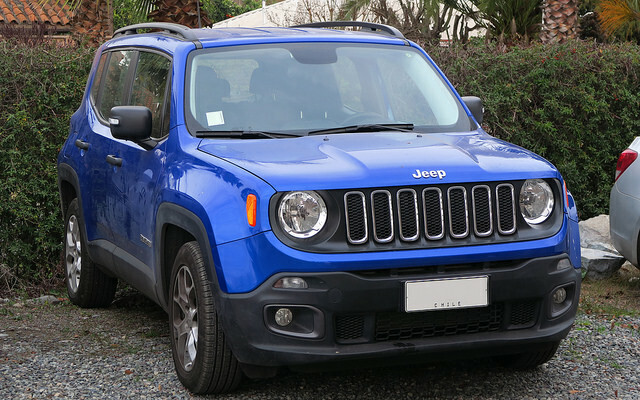 So, if you are looking for an SUV on a budget that has a lot of user-friendly techs, Jeep Renegade is worth your time. It doesn’t matter which engine you choose, both of them will serve you well. 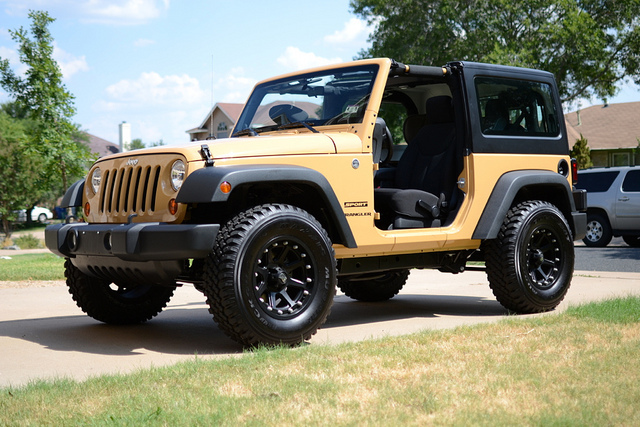 Now, the big question is should you buy a brand new Jeep or a used one? If you buy a used vehicle that is 3 years old and has 30,000 miles you will save $8696 because it’s value will drop by 32.27%. Engine Power: It comes in with a turbocharged 1.4-liter 160 horsepower 4-cylinder engine and 2.4-liter 180 horsepower 4-cylinder engine. Transmission: It has 2 types of transmissions. The 1.4-liter engine comes in with a six-speed manual transmission and the 2.4-liter engine has a nine-speed automatic transmission. Fuel Economy: Very good fuel economy. Spends 3.8-4 gallons/100 miles depending on the engine with a 24 MPG in the city and 31 MPG on the highway. Handling: It is great for the road and for muddy trails. It handles turns with agility and drives great in corners. Depreciation: At a starting price of $26,945 for a brand new vehicle, in the first year and 10,000 miles, you will lose 10.49% or just $2826. After two years and 20,000 miles, you will lose 21.21% or just $5720. After three years and 30,000 miles, you will lose 32.27% or $8696. After 10 years and 100,000 miles, you will lose 72.29% or $19,568. 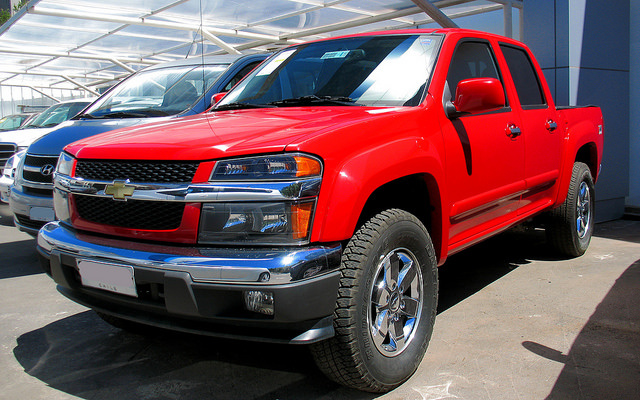 Chevy Colorado has a rating of 8.6 out of 10 which is pretty good. It has a smooth ride and a decent cabin space. It comes with 2 seats or 5 seats. You can use it as an everyday vehicle and for heavy duty. 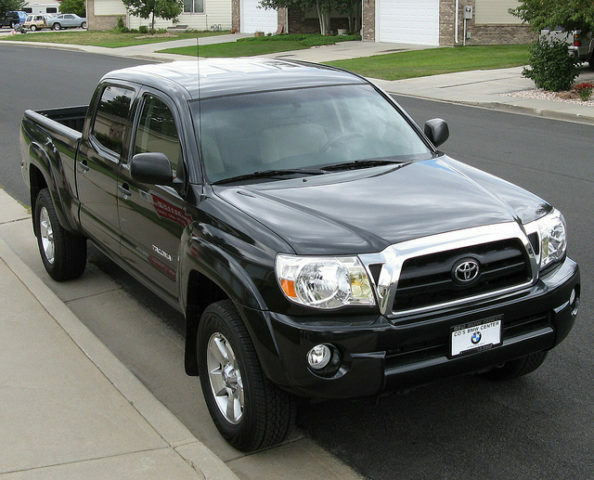 If you are looking to buy a truck that you can use for on-road and off-road, this is probably the best pick. You can get a brand new truck for $42,000, or you can wait 3 years and save $13,170. You will have to decide whether you want the best gas mileage or strength and pick the right engine. Engine Power: Has three engine options. A 200-horsepower, a 308-horsepower V6 and a 181-horsepower turbodiesel. The V6 model has the best performance, but the diesel engine has the best gas mileage. Transmission: Comes in only with 1 transmission and that is an eight-speed automatic transmission. Fuel Economy: Variety of gas mileage. Starts from 4.0 gallons/100 and goes up to 5.0 gallons/100 miles with a nice 18 MPG in the city and 30 on the highway. Handling: Has good agility. The ride is smooth even on a bad road. When it comes to the off-road performance, it’s not the best truck but still gives decent results. Depreciation: At a starting price of $42,000 for a brand new vehicle, in the first year and 10,000 miles, you will lose 10.2% or just $4284. After two years and 20,000 miles, you will lose 20.64% or just $8667. After three years and 30,000 miles, you will lose 25.02% or $13,170. After 10 years and 100,000 miles, you will lose 72.25% or $11,654. This is the best compact pickup truck. It’s good for both tricky terrain and tough hauling jobs. It comes with 4-5 seats. Can be used for on-road and off-road. It has a decent four-star crash test rating from the NHTSA. If you are looking to buy a vehicle that you can use for your business and as a family car, this is it. With a starting price of $43,720 and a 29.53% depreciation in the first 3 years, this is a great choice. Engine Power: Has two engine options. You can choose a 159-horsepower or 278-horsepower V6 engine. Both engines are great for driving through the city, but the V6 has that extra strength that will come in handy if you are towing a trailer. Transmission: Has a four-speed automatic transmission and a five-speed manual transmission. Fuel Economy: I cannot say that it has a bad gas mileage, but it’s not great either. Spends 5.6 gallons/100 miles with a nice 17 MPG in the city and 21 on the highway. Handling: It does a great job while driving on the highway and on roads with potholes. It has a firm ride. Depreciation: At a starting price of $43,720 for a brand new vehicle, in the first year and 10,000 miles, you will lose 9.62% or just $4207. After two years and 20,000 miles, you will lose 19.45% or just $8505. After three years and 30,000 miles, you will lose 29.53% or $13,164. After 10 years and 100,000 miles, you will lose 71.51% or $31,266. Decent SUV with a score of 8.2 out of 10. Offers 5 seats. It is a great choice if you have an active lifestyle. Engine Power: Comes in with a 1.8-liter engine and 141 horsepower(four-cylinder). Transmission: The standard version is the six-speed manual transmission. You can upgrade to an automatic transmission. Fuel Economy: Spends 3.4 gallons/100 miles with a 27 MPG in the city and 31 on the highway. Handling: Has a steady drive with carlike movements. Depreciation: At a starting price of $26,540 for a brand new vehicle, in the first year and 10,000 miles, you will lose 8.18% or just $2172. After two years and 20,000 miles, you will lose 16.52% or just $4384. After three years and 30,000 miles, you will lose 25.02% or $6640. After 10 years and 100,000 miles, you will lose 69.69% or $19,496. Has a score of 8.4 out of 10. Has 5 seats. 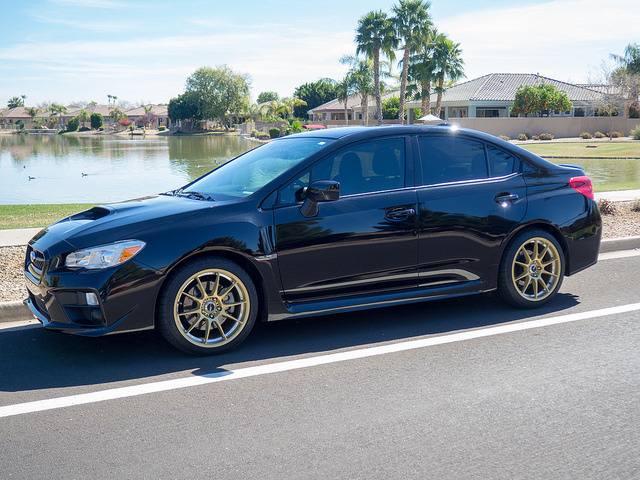 It’s not really a family car, but it’s a great car to own before you get married. Engine Power: Comes in with a 2.5-liter turbocharged engine with 268 horsepowers. A BEAST! Transmission: Offers manual transmission as a standard package, but also a chance to upgrade to automatic. Fuel Economy: 4.3 gallons/100 miles with 21 MPG in the city and 27 MPG on the highway. Handling: Probably the most fun car to drive. Has a plenty grip with the all-wheel drive. Depreciation: At a starting price of $34,123 for a brand new vehicle, in the first year and 10,000 miles, you will lose 7.9% or just $2695. After two years and 20,000 miles, you will lose 15.93% or just $5437. After three years and 30,000 miles, you will lose 24.13% or $8232. After 10 years and 100,000 miles, you will lose 69.33% or $23,657. Score 7.3 out of 10. It’s not a bad truck, but it’s not a great one either. It’s kinda in the middle. Engine Power: Has a 4.0-liter engine with a 152-horsepower four-cylinder, or a 261-HP V6. Transmission: Five-speed manual standard transmission with a chance to upgrade to an automatic. Fuel Economy: 5.3 gallons/100 miles with 17 MPG in the city and 22 on the highway. Handling: Has a smooth ride on straight roads. It gets a little bit of tricky on a bumpy road because the steering is heavy. Depreciation: At a starting price of $36,800 for a brand new vehicle, in the first year and 10,000 miles, you will lose 6.18% or just $2276. After two years and 20,000 miles, you will lose 12.45% or just $4582. After three years and 30,000 miles, you will lose 18.81% or $6922. After 10 years and 100,000 miles, you will lose 69.33% or $24,722. Ladies and Gentlement, this is the winner. Engine Power: Has a 2.0-liter V6 engine with 285-horsepowers. Transmission: Standard six-speed manual transmission with a chance to upgrade to automatic. Fuel Economy: 4.2 gallons/100 miles with 23 MPG in the city and 25 on the highway. Handling: Kinda stiff ride. Good in corners, but is a beast when it comes to off-road. Depreciation: At a starting price of $31,458 for a brand new vehicle, in the first year and 10,000 miles, you will lose 2.79% or just $879. After two years and 20,000 miles, you will lose 5.6% or just $1762. After three years and 30,000 miles, you will lose 8.43% or $2651. After 10 years and 100,000 miles, you will lose 62.98% or $19,813.